Would you rent one of these high tech bikes for £17 a month? 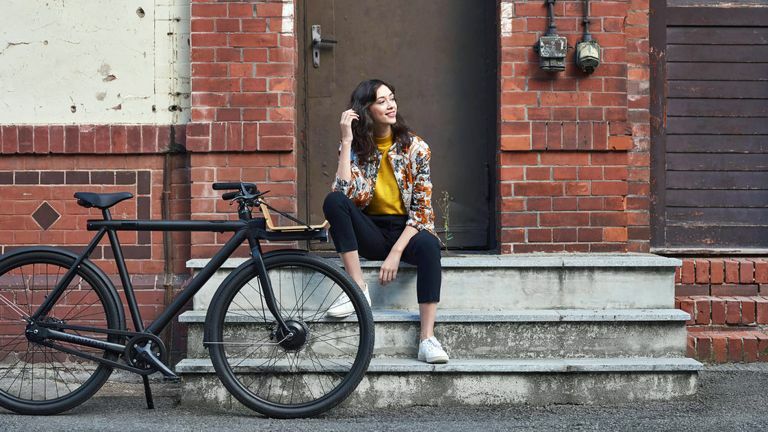 Dutch bike company VanMoof is launching a monthly subscription service, which gives riders access to one of its smart or electric bikes from £17 a month. The company says VanMoof+ is the first ever monthly bike subscription service, and it's aimed at tackling the disposable economy by making high-quality bikes accessible and affordable. Unlike dockless sharing schemes, VanMoof+ riders have exclusive access to a bike for as long as they choose to ride it for that monthly subscription fee. Subscriptions, which will be available on VanMoof’s new collection of smart and e-bikes from this spring, include full maintenance and access to VanMoof’s theft protection service which guarantees that the company will recover or replace any stolen VanMoof. To begin, riders must pay an up-front 'key fee'. For the smart bikes, this fee is $298/£278. The key fee for the e-bike will be announced shortly. When riders are done with their subscription, they are able to sell the keys on to another user, who then takes over the monthly subscription. VanMoof says that this incentivises riders to take good care of their bikes while ensuring the bikes stay on the road. Alternatively, you can return the bike to a VanMoof store and forfeit the key fee. VanMoof's 2018 range will launch in two stages, with a Smart bike set to launch on April 24, and an updated Electrified later in May. Riders can subscribe to one of these new bikes with VanMoof+ at vanmoof.com or in one of VanMoof's seven stores. The stores can be found in cities including Berlin, New York and Tokyo, with London due to launch in the next month.